One Eternal Day: "Wholesale murder"
...[A]ttitudes toward abortion in America have never been fixed and immutable. 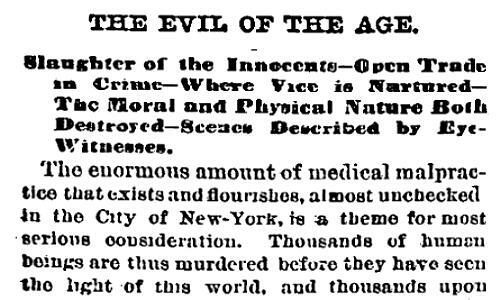 The nineteenth century saw abortion go from mostly illegal but winked at, to illegal and strongly frowned upon. Public revulsion, translated into policy, put that century’s abortion mills out of business.